Pain Level: 1 - Had a few random aches today. Swelling: It's going down slowly. But it is a lot better now. At least I'm not afraid to go outside. Sleep achieved yesterday night: 8-9 hours, 2am - 1pm (twice disrupted for an hour or two). Also took an hour long nap after my friends this afternoon. Mood: Looking forward to sleep and a new week. I've recently been interested in the topic of the primal blueprint and have started listening to some podcasts to understand it more. I think it's something about this whole surgery experience that has brought back the health junkie in me. I haven't had the opportunity to get out to the library to get the books, but I guess there's a lot of material online to work with. I don't quite agree with the Primal Blueprint's focus on Darwinism (because I don't agree with the whole theory of evolution), but I believe that some of the theories are pretty sound in the light of adaptive evolution/priming oneself to be strong enough to survive and thrive. Recently I've been subscribing to a lot of health and nutrition channels on youtube and IG and it has been great. I took some time today and listened to one of the podcasts on the primal blueprint and found out that lack of sleep and stress can affect bone density! And especially how the "constant layering of stress upon one's own life" can result in a "chronic overproduction of cortisol" which will affect the absorption of calcium and other stuff that affects bone density. Gosh! I've had an immense amount of stress these past few weeks! With two fractured jaws that need ALOT of help healing, I can't afford that now! 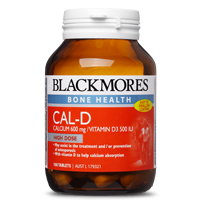 I just started taking calcium and vitamin D supplements today in hopes to help that! I'm going to read more about the Primal Blueprint day by day, but for now, I'm going to try to incorporate some of these guidelines into my life - including increasing the amount of sleep, controlling my stress levels, and going out for a walk in the sunlight everyday. We'll see how that goes. Had some of my close friends come over today. All we did was pretty much eat a little bit, then just lazed around talking. I think it's pretty cool to have friends like that to journey through life with. I didn't do too well with nutrition today again :(. I just didn't quite feel like food. Mum had a great idea this evening though that I could try soft boiled eggs (which is a little of an old-school breakfast in Singapore). I'm usually not quite a fan of the dish, but it's packed with proteins which is going to be so good for me, so I'm going to try to have that for breakfast tomorrow morning. 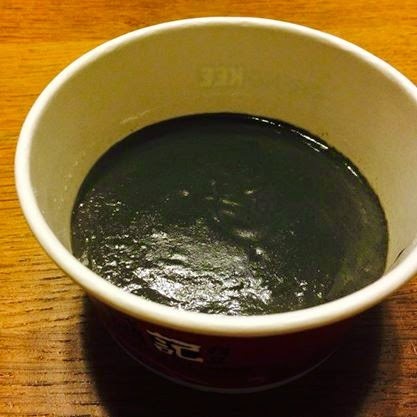 On other notes: I did some black sesame paste dessert for dinner today in my efforts to take care of my hair. :) There are so many health benefits to it - especially for my hair - I think I just might have have it every other day. Okay, not much than that today. I'm just going to do my warm compress and get some sleep now so I can wake up bright and early tomorrow. Friends came over, and watching this little cutie. "Plan for the day tomorrow"